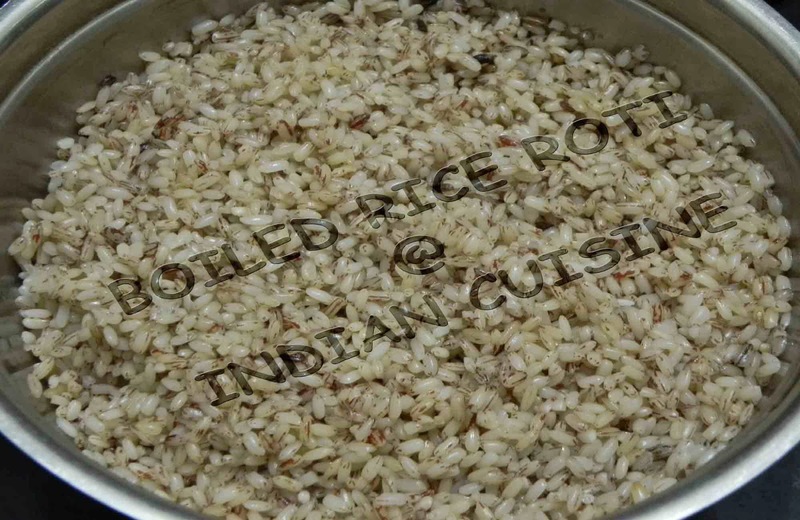 As every one knows Boiled Rice or what we call Brown Rice is rich in fiber and vitamins. 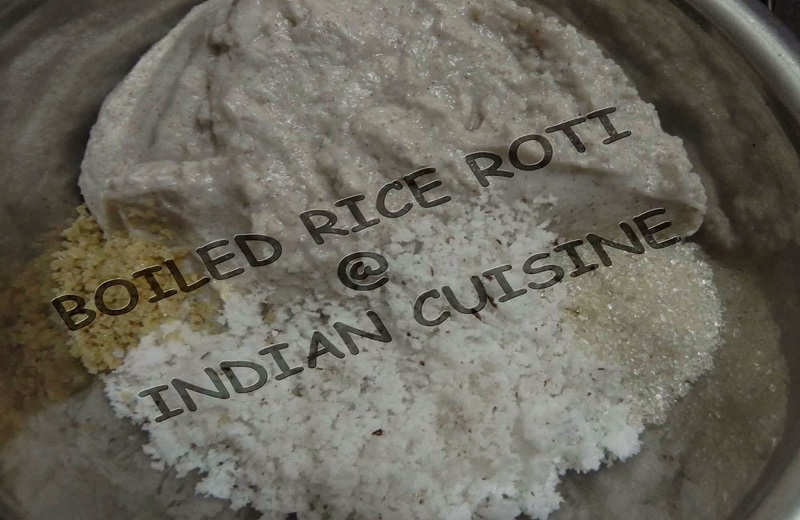 Here is very tasty, nutritious and yummy breakfast recipe made of Boiled Rice. 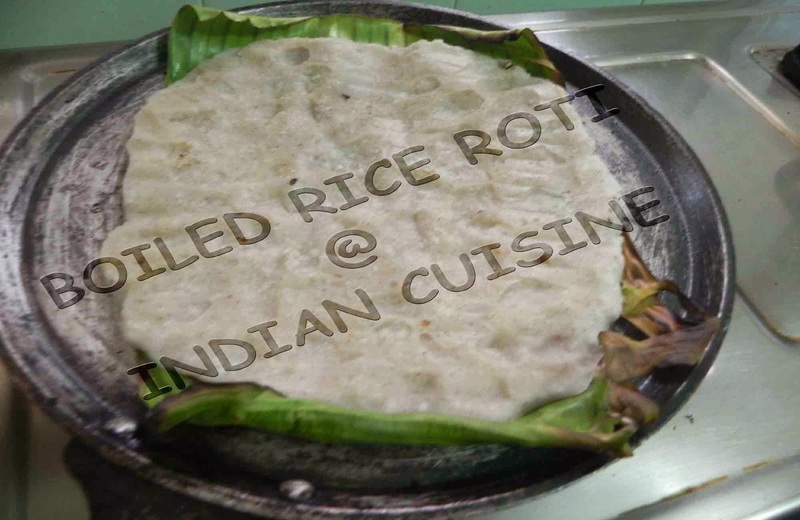 Banana leaf used in the preparation of roti gives a great aroma to the roti. Soak the Boiled Rice for about 18 - 20 hours. 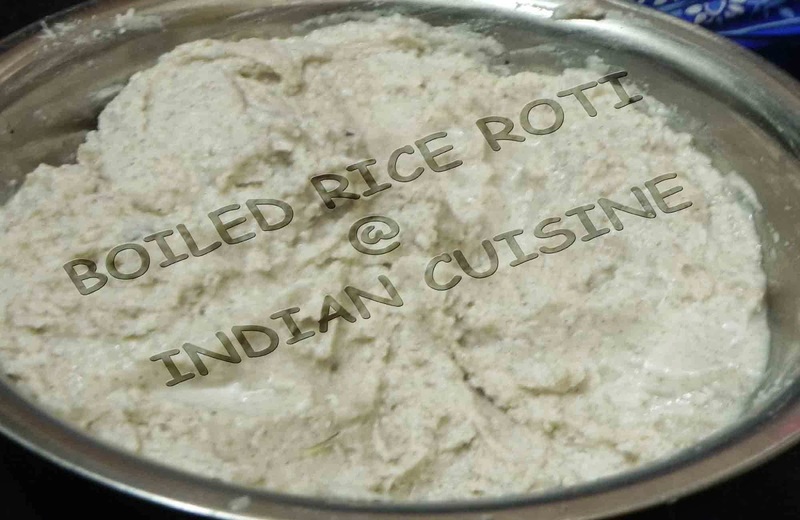 Grind the soaked Rice to get a very smooth thick paste, putting very small amount of water. Add grated coconut, sugar, salt and mix well. 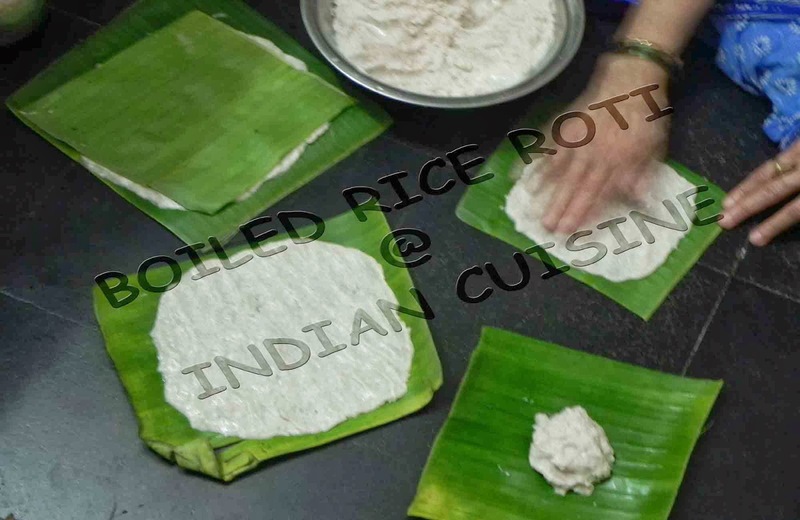 Cut the banana leaves in to small pieces, so as to cover the roti fully. Spread the banana leaf, put the batter, spread the batter with your hand. Don’t spread the batter to very thin or thick. This consistence should be of the chapathi. Cover it with another banana leaf as shown in picture. 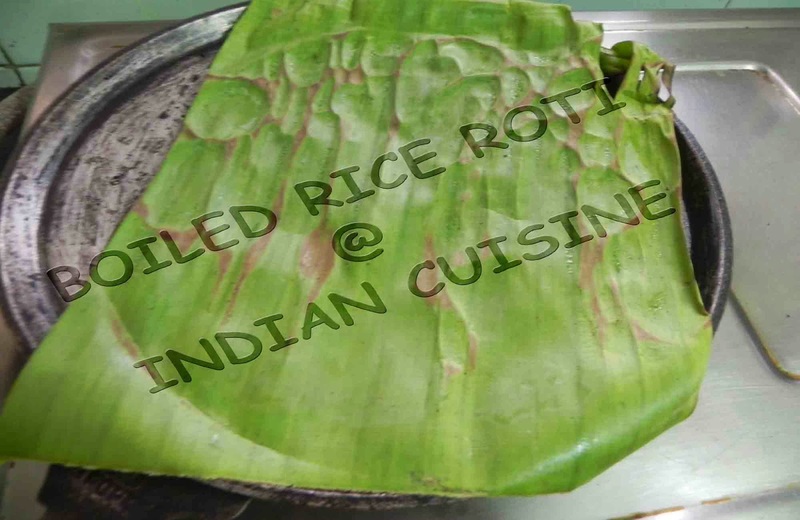 Heat Tava(which is used to make chapathi) and cook both side of the roti along with the banana leaf and put it on serving plate. 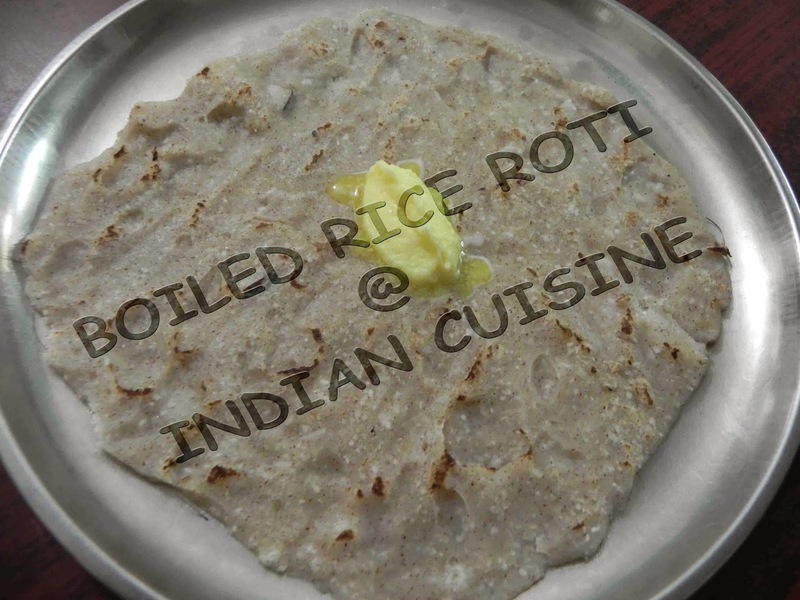 This roti can be served with any side dish or chutney or chutney pudi(chutney pitto in Konkani) or simply butter. PS: If banana leaf is not around then, the batter can be spread directly over tawa. If you like crispy rotis, then after frying the roti along with the leaf once, remove the leaf and fry the roti without leaf for a second on both the sides. This makes the roti crispy.